Cricket Captain 2014, developed by games technology lecturer Dr Chris Child rises to third in the UK and Australia in apps and first in games on the Mac App Store listings and is assisting in developing the next generation of games technologists. Leading by the example of its academics, City University London is helping to attract and train the next generation of games developers and technologists. Cricket Captain 2014, conceptualised and developed by Dr Chris Child, a lecturer in games technology and the course director of City's BSc in Computer Games, is now third in the UK and Australia in apps and first in games on the Mac App listings. The game is also the number one app in India. Made by Dr Child's company, Childish Things, Cricket Captain 2014 allows players to take control of an English County Cricket team with the aim of leading them to success in the domestic competition and then going on to take up the position of England captain. The game takes its inspiration from its football equivalent, the Championship Manager games series. Speaking of a recent version of Dr Child's game, The Guardian's sport reporter, John Ashdown, says it "may have been better than its footballing counterpart". "I am really pleased to have the Mac version released. It is only the second time (since 2011) that we have had it out on Mac and we have received excellent feedback from customers as well as an impressive response in sales. The team comprises myself, Andy Yau and Nigel Stillwell at Childish Things and a second team at Tick Tock working on the multi-platform aspect and re-design of the games' interface. We released our PC version at the end of August, the Mac version at the start of September and we are looking to launch on Android and iPhone soon. New frontiers have been opened through versions for PlayStation, PSP, iPhone, Mac and Android with the current version set to reach its biggest ever yearly audience." 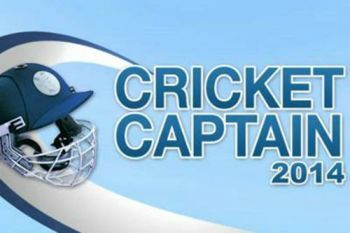 To download Cricket Captain 2014, please visit this weblink. Please visit this weblink for more information on City's computer games technology courses.